This frame was bought in London by a man who then brought it to California; it changed owners a year later in unbuilt condition. 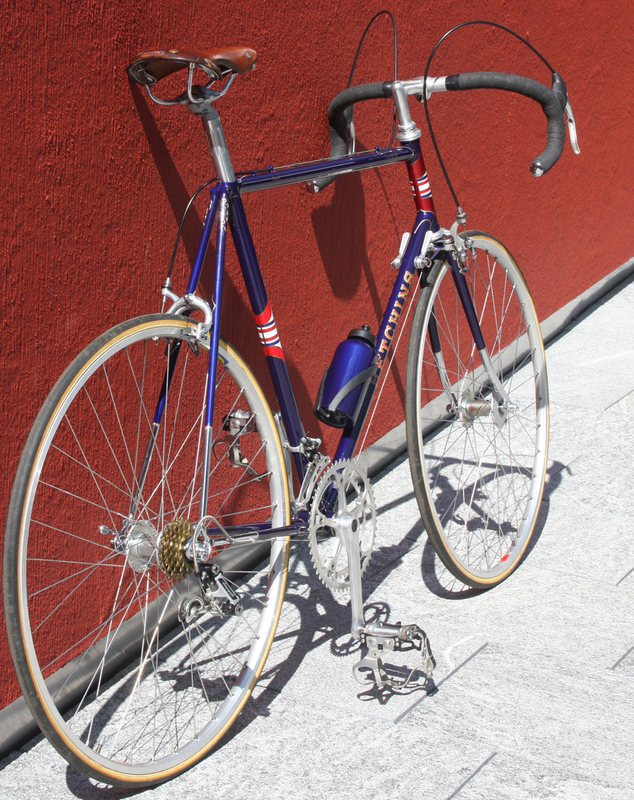 It was ridden for many years with a Campag Nuovo Record groupset. 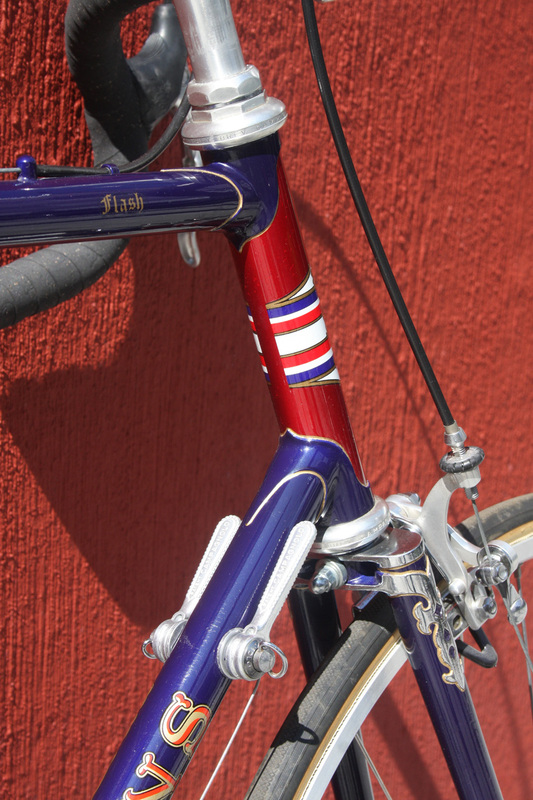 In the 1990s the frame was restored to original colors (purpley-blue with red flam ht) and Six-Day transfers by Hetchins. The water bottle was painted to match. 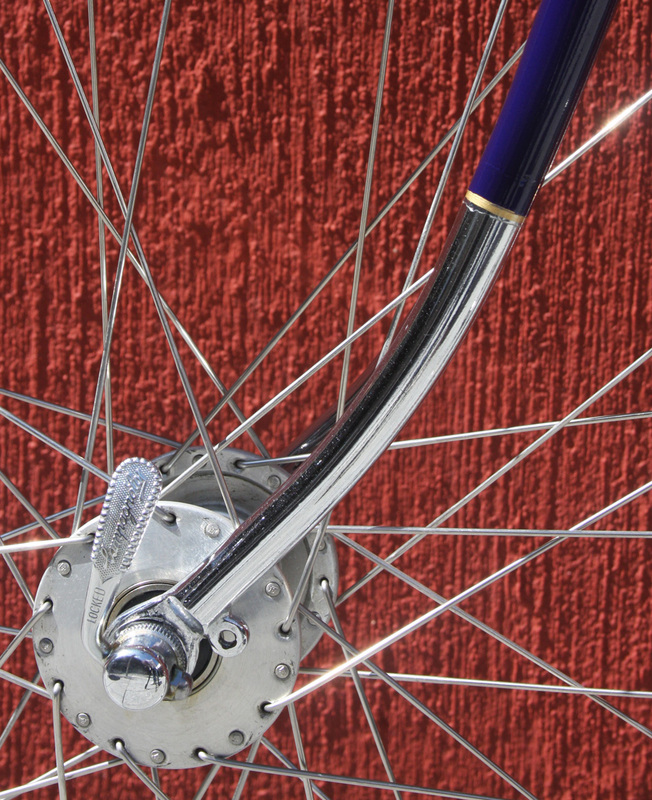 The chrome is original. 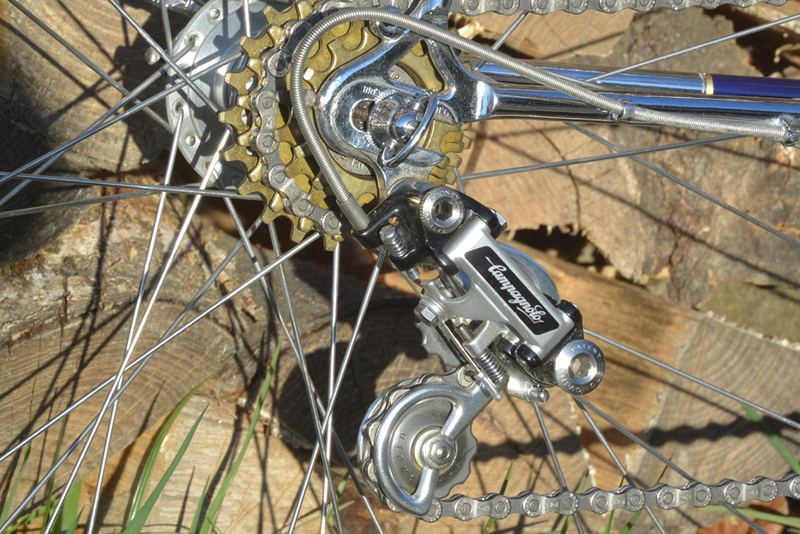 An unridden Super Record groupset was then fitted (as featured here). 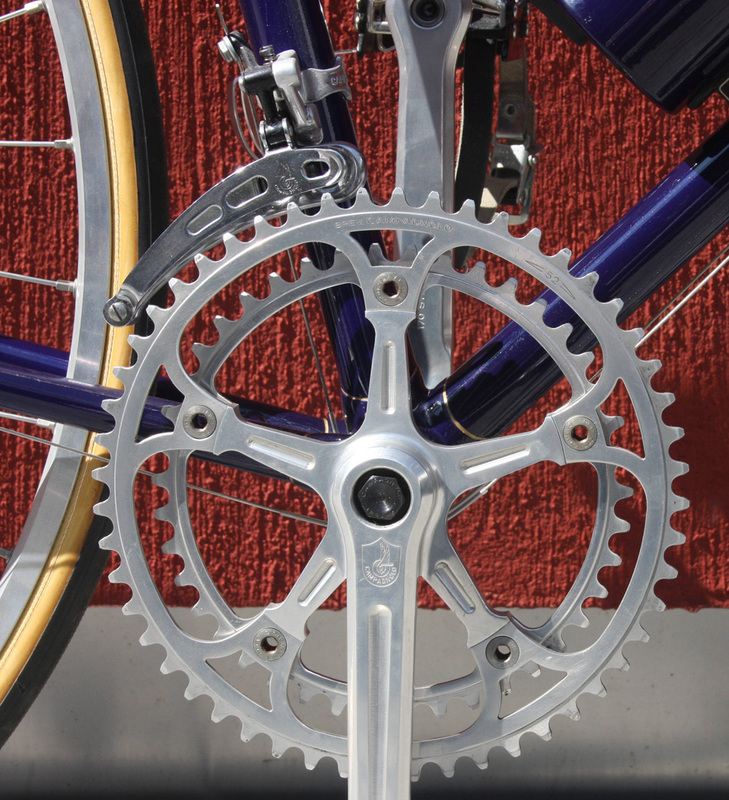 Note the unusual Phil hi-flange hubs. 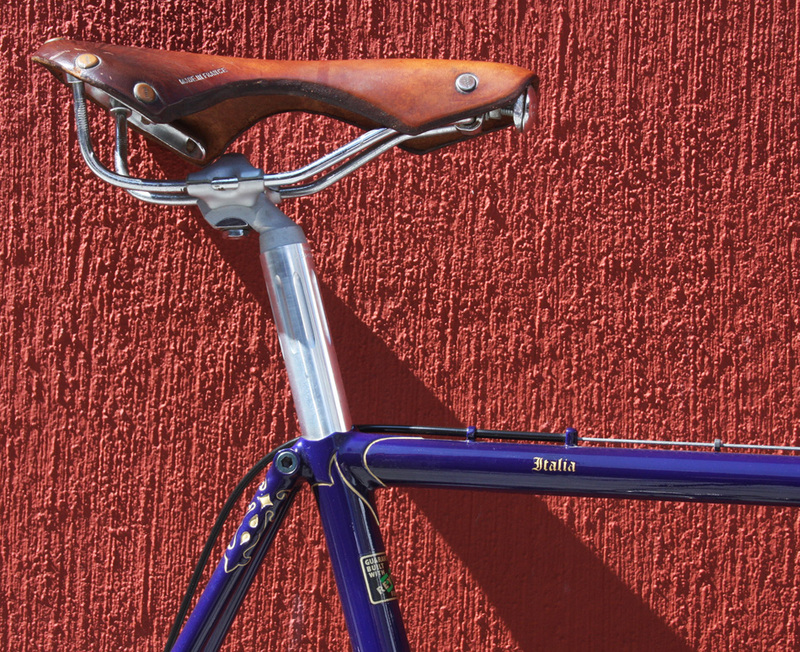 The saddle is by Ideale. 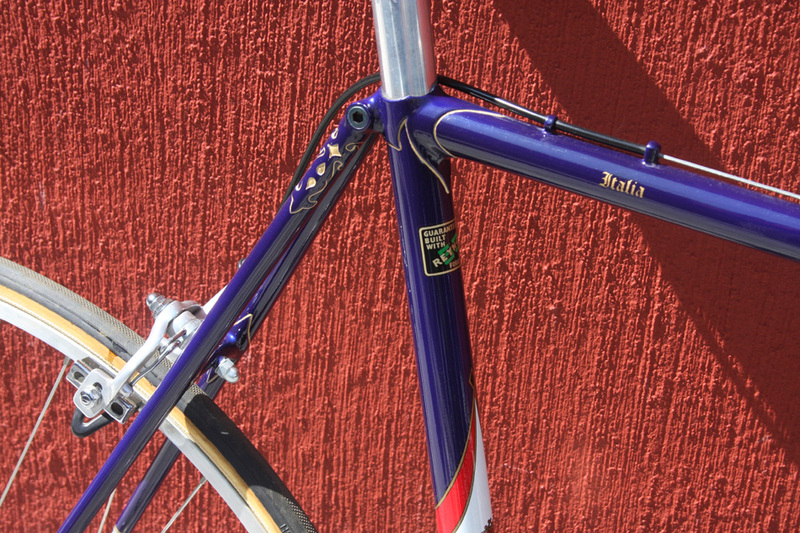 Stem and handle bar are Cinelli. 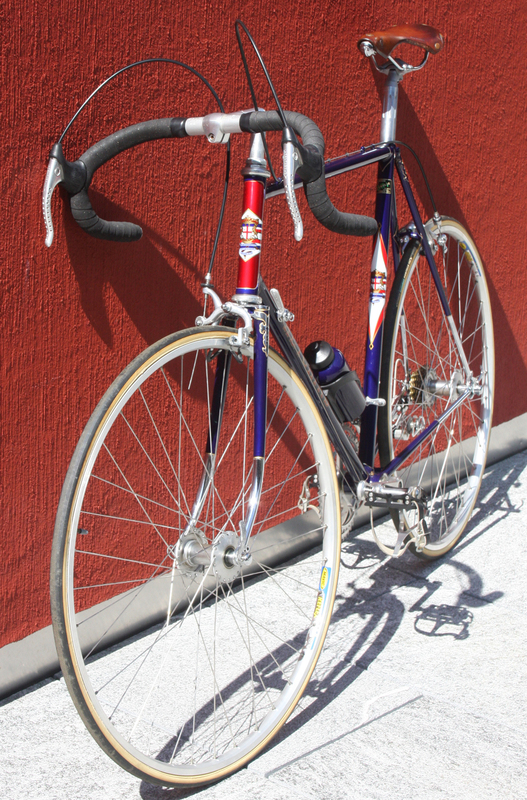 Some Italias were made by an unknown builder in Italy, painted by Hetchins and sold as Hetchins for export to the USA. How many of these were built is not known. 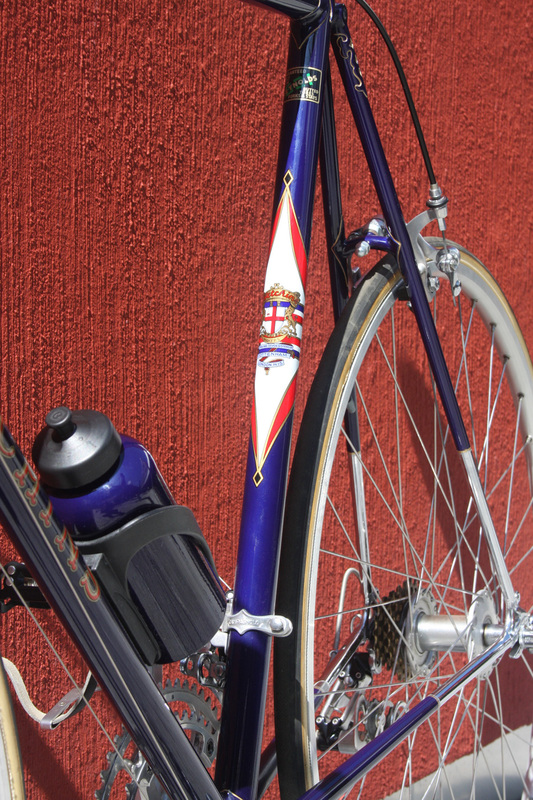 For exact differences between British- and Italian-made ones, see Lug Designs/Italia. The Italia featured here is British-made, as attested by a small transfer fitted to the lower head lug (and British threads in the b/b). 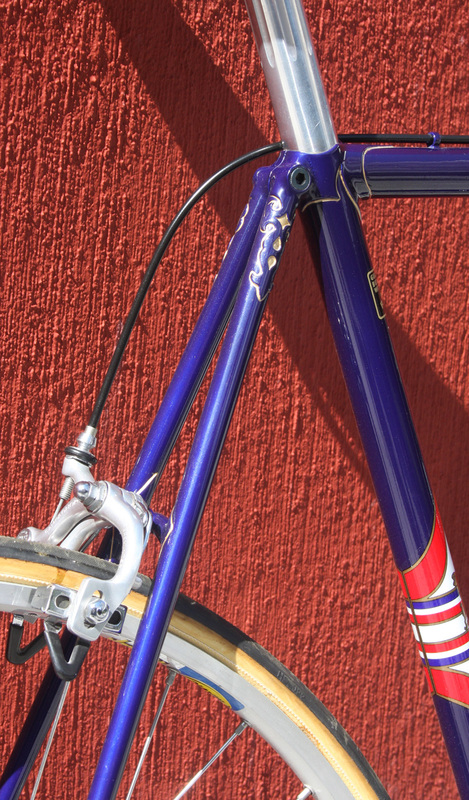 The frame, while plain by Hetchins standards, shows the fine workmanship and attention to detail characteristic of Hetchins. 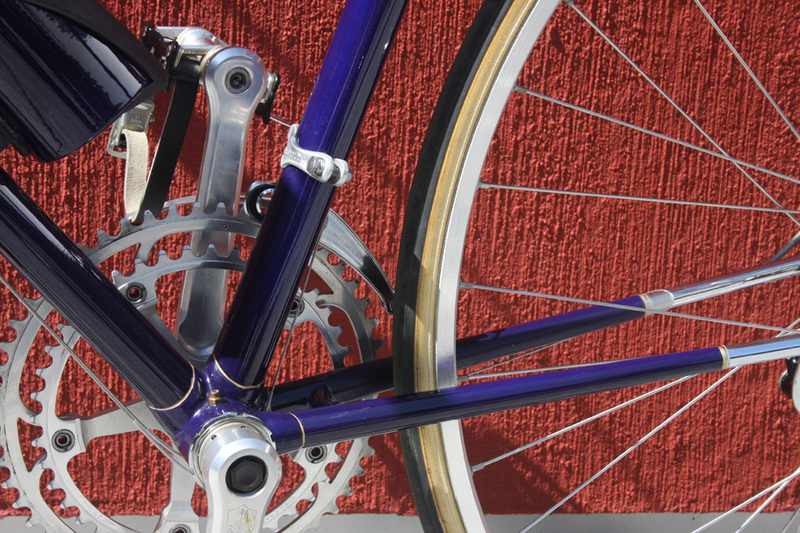 The lugs are Prugnat long point; they were not much modified, except for the seat lug which received a slash in the side and a scallop on top. This frame features a tang at the back of the seat lug -- others had wrapovers instead or plain italianate style stays (no tang). The Editor wish to thank Brent and the people at Phil Wood for refurbishing the front hub (the back one didn't need it). 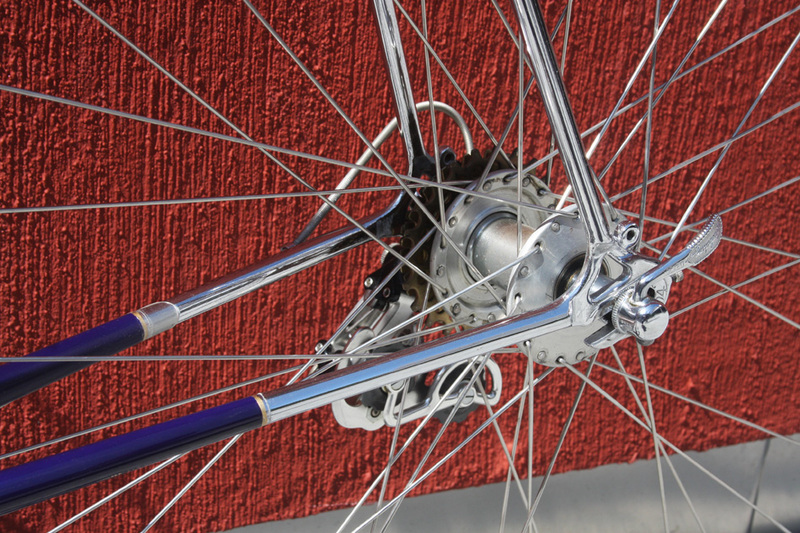 Thanks also to the wheelbuilder, Mike Schlosser of Rund Ums Rad (Mannheim) for spoking them onto 27" rims with sew-up tires (which the Brits call 'tubs').